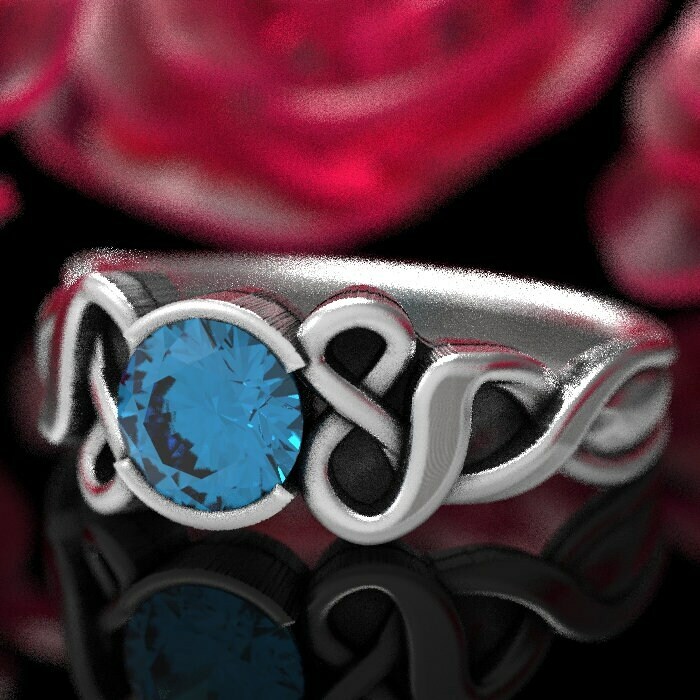 Truly unique aquamarine engagement Sterling Silver Celtic Ring! A variation of the “Trinity Knot,” this pattern is truly exquisite! 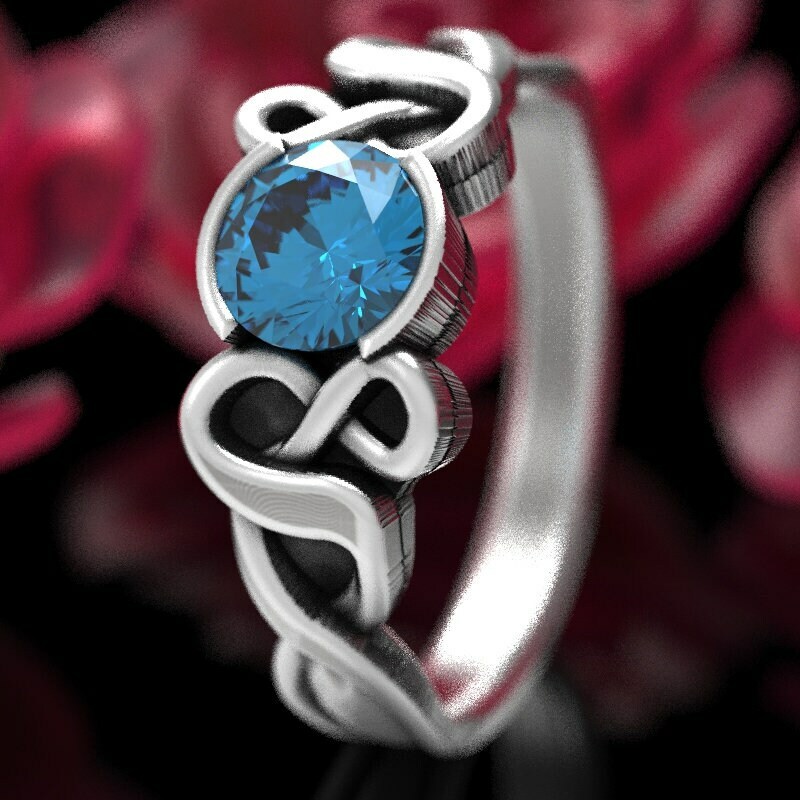 The center stone is a 5mm round aquamarine, it really pops on the hand. 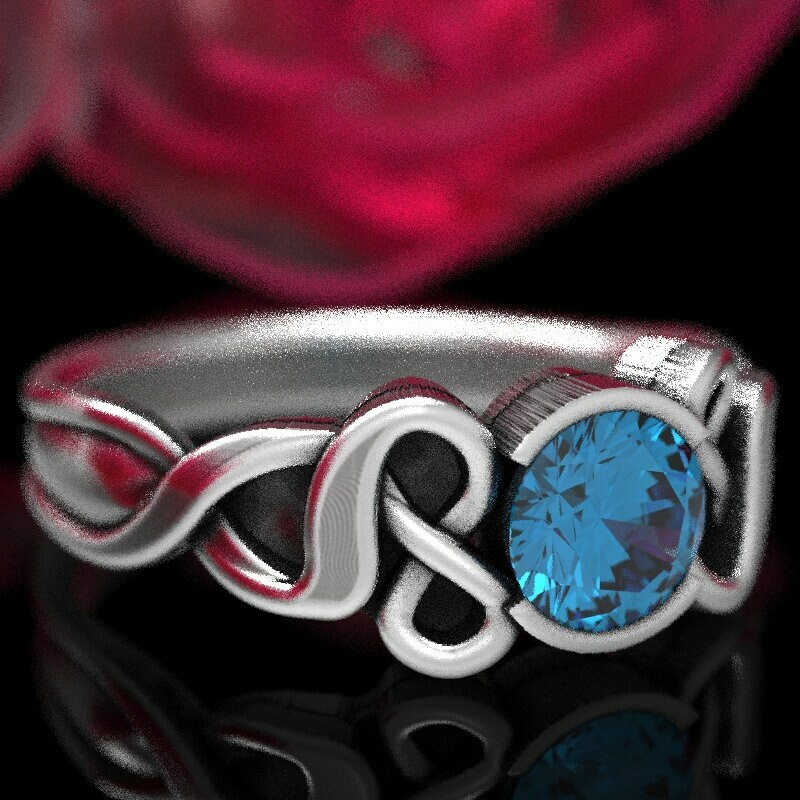 Elegant curvature interlaces elongated horizontal “ampersand” and "infinity" symbols for a more delicate and refined look. 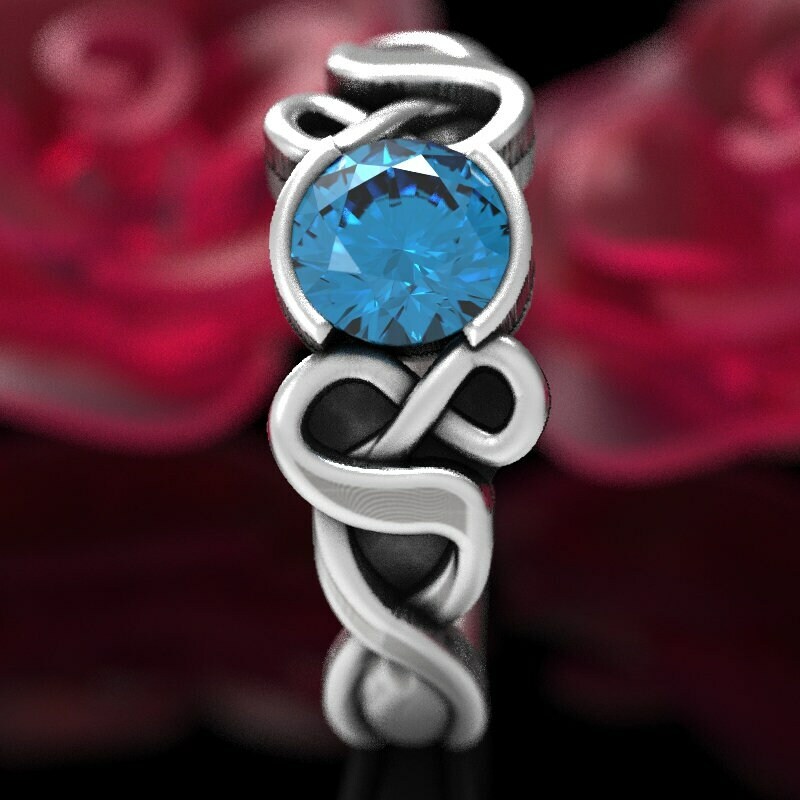 With no visible beginning or end, eternal love will be the symbol you give to your significant other in this gorgeous design! 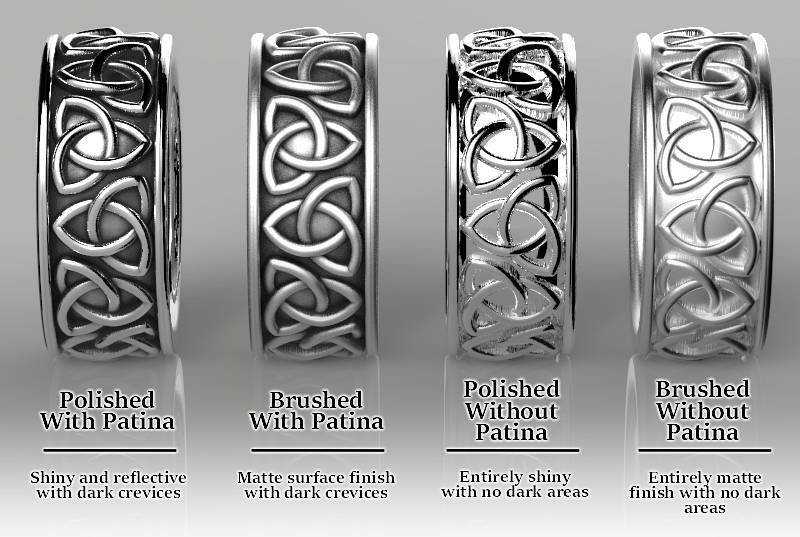 Each ring is cast in solid sterling silver, and we offer different finishing options. The finish used in the photos is the polished without patina, please choose finishes from the drop down menu. 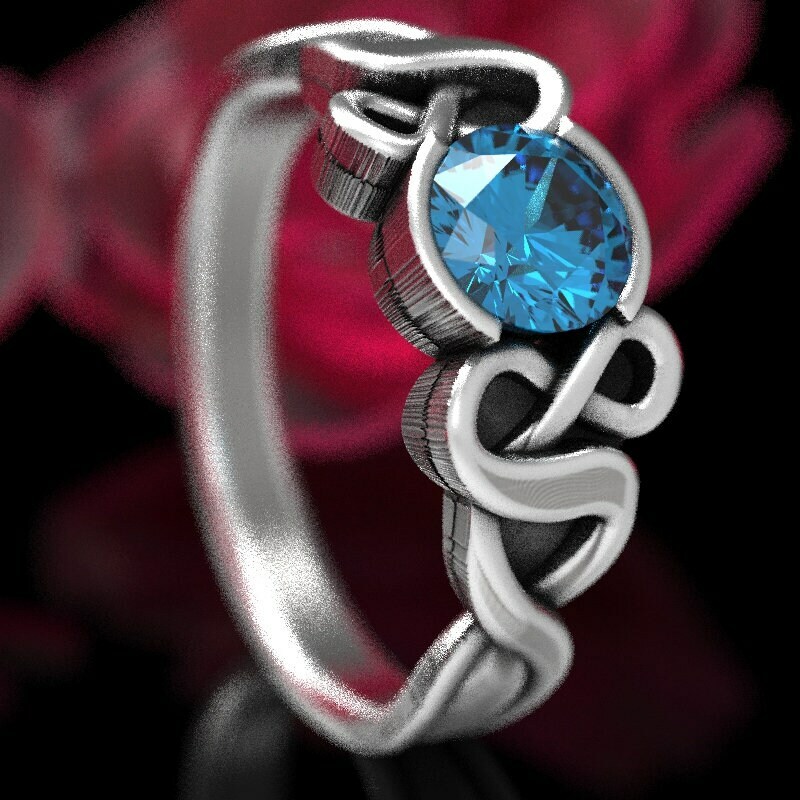 www.CelticEternity.com for more items and information on our unique jewelry! We do offer discounts for multiple purchases, and have payment plans available for our more expensive ($400 and over) pieces. We can make these in different metals (sterling silver, 10K, 14K and 18K golds, platinum or palladium) please request if you'd like to order this or any of our pieces in a different metal. All of our pieces can be customized, if you'd like to add a stone, choose a different stone than the one listed, change stone shape or stone size, please message us so we can create a lovely custom piece for you! 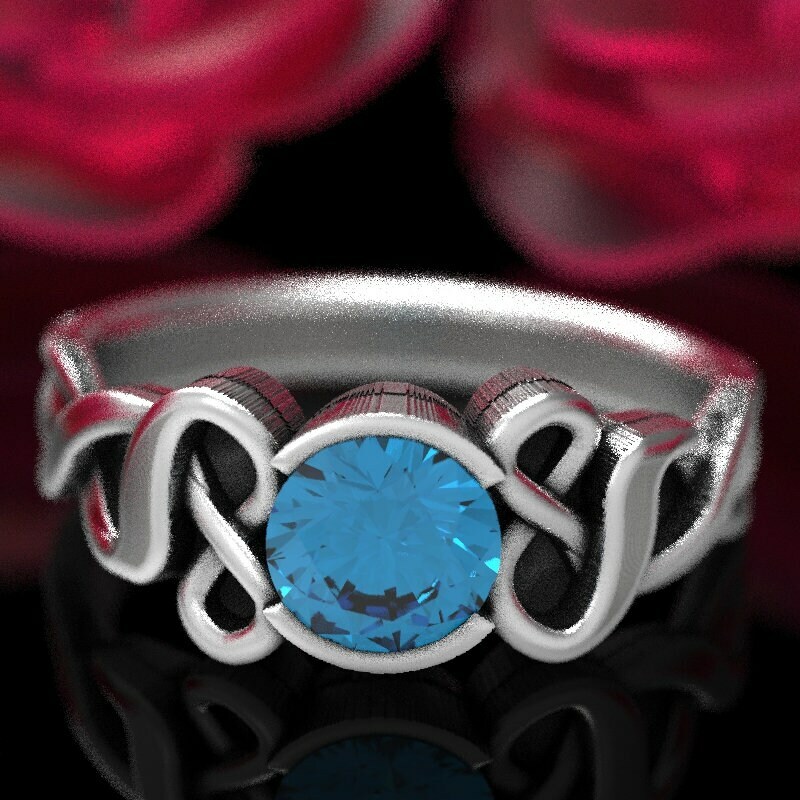 Dimensions: Ring is 3mm and 7mm at its widest, and made in your size.